A documentary that let seniors speak about their dreams and their fears for their own housing in a near future. Marie Isabelle Rochon is a videojournalist working for Radio-canada in St. John’s, Newfoundland. Her passion for documentary and image capture led her to work as a journalist. In 2016 she co-directed a documentary (Leaving the sea/ Haw As) in the Philippines. The movie won the Best Documentary Short Film award at the Barcelona Planet Film Festival. It also won a special mention for for contributing to the protection of disappearing communities and habitats. » at the Quarantine Film Festival in Bulgaria. Marie Isabelle worked as a photojournalist and videojournalist for Quartier Libre, the University of Montreal journal. She also worked as a photographer and videographer for Parcs Canada. She completed her study in music and in political science. Over the last few years, Catherine has developed an interest and an expertise in the production of documentaries and podcasts. In 2018, she has produced FERRY traversée érotique, a documentary podcast on the theme of intimacy and sexuality. At the Numix Awards Gala 2018, FERRY was awarded one of the two newly created awards for Podcasting in the Linear web productions category, sub-category: conversations and interviews and is now nominated at Phonurgia Awards, Paris. A second season of FERRY will follow as a co-production with Radio-Canada. 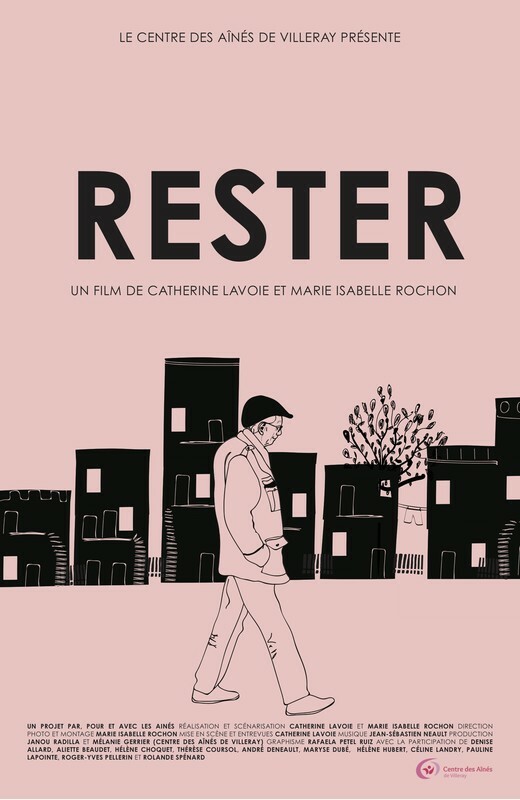 The documentary film RESTER is her first cinema production. Catherine also has an interesting CV as an actress. She is regularly requested for dubbing and to record the soundtrack of publicities and video games. She has been in the casting of numerous plays mostly in Montreal (Espace Go; Théâtre La Licorne; Théâtre Prospéro; Théâtre Aux Écuries; Théâtre Espace Libre) but also in the USA, namely Chicago (Mary Archie Theatre), New York (The Neofuturists) and San Francisco (The Neofuturists). In the spring of 2019, she will be on stage again in the production of CR d’OISEAU CAVE at Théâtre La Grande Licorne in Montreal. IN 2017, Catherine was selected with her co-mate Marie-Isabelle Rochon as runner-up at the PRIX LIZETTE-GERVAIS 2017, an award for best emerging talent in the field of journalism. In 2018, Catherine also gradued from INIS film school (short program RÉALISER UN DOCUMENTAIRE ).